The MC9190-Z joins Zebra’s broad portfolio of fixed, handheld and hands-free RFID readers, used in more applications, more industries and more countries. Our comprehensive offering of RFID solutions helps our customers simplify deployments, lower costs and maximize return on investment. 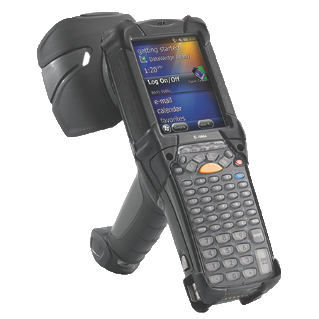 Integrated RFID and barcode data capture in one rugged device gives you lower total cost of ownership. The MC9190-Z delivers wired-line grade security without impacting wireless performance. It features native FIPS 140-2 Level 1 certification, support for all the latest encryption and authentication protocols, and compatibility with Zebra's Mobile Security Suite for device-level protection and compatibility with Mobile Virtual Private Networks (MVPNs). Common access card (CAC) capability lets you use optional accessories to support authentication for government applications.